– Liability insurance coverage of branch functions. It is not accident insurance. Liability insurance is for when you are sued, and negligence of some sort on the part of the group has to be proven. *Renewing members with dues paid by Nov. 15th are eligible for the Hogmanay member discount. Chrissa Pedersen, 711 Carpenter Lane, Philadelphia, PA 19119 by October 1. Checks can be made payable to “RSCDS Del. Val. Br., Ltd.”. Sustaining Annual Branch Membership: $110 Includes $25 deductible donation. Annual Membership for Dancers Under Age 25 or Low Income: $35 Designed especially for students or for those who would like to join the Branch,but find the full priced membership to be an economic burden. 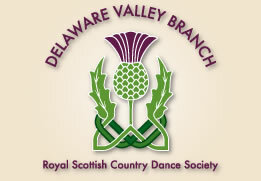 Youth Membership Ages 12-17: $25 Designed to encourage younger dancers to join the branch and the Society. 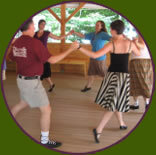 Class Fee For Existing Life Members Only: $40 Adds all-you-can-dance classes to existing membership benefits. As always, if you have any questions or suggestions about the fee structure, please talk with any member of the Executive Committee.